Although Dovizioso was traveling behind the Australian, "you can not take a podium at the beginning of the year to which he has won," says Tardozzi. Seeing how Austin's MotoGP race was going, some of us thought about the possibility that Ducati would ask Miller, his pilot enrolled in the Pramac satellite team, to pass through Dovizioso when the Australian was third and the Italian quarter. The boss of rows of Borgo Panigale's factory is Andrea, but happily there was no message on this occasion like the one that the one in 2017 showed Lorenzo in Sepang to let him pass with his partner: " Suggested Mapping 8 ". Maybe that was the clearest encrypted message in history ... Now, in Texas, it did not come out, because it was only the third race of the year and it would have been a scandal for Ducati to have recourse to team orders at this point. But they also believed from the heart that it was not the time. "Miller could not be stopped for Dovizioso to pass. It is a sin to do it. You can not take a podium from a driver who won it at the beginning of the season. Miller is a driver of ours, but ... It is clear that of being the end of the championship would have been stupid not to do it, because they were three more points , but now it's too early and Miller deserved it ", commented to this newspaper in the red box Davide Tardozzi, team manager of the Ducati official team. 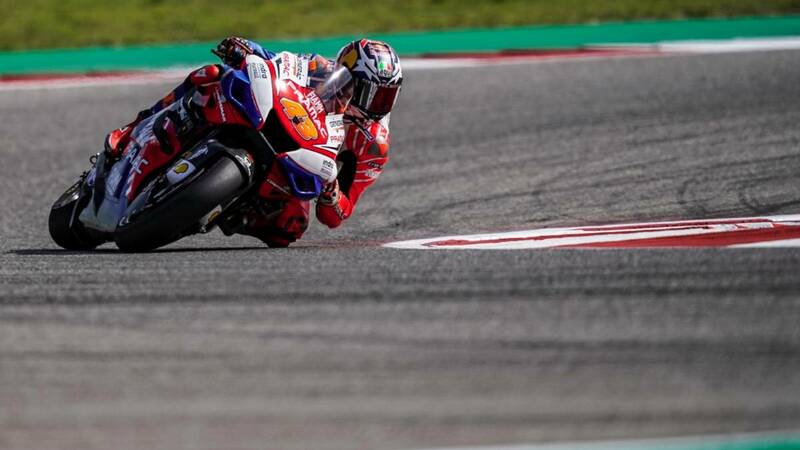 Of course, the Italian warns that the story may be another one later:" A At the end of the championship the situation is different, because they are pilots who have a contract with Ducati and who are available to what their factory asks for. There are times when you should give team orders and others where you do not, as in this case. " Meanwhile, Miller, who is a mentally horny but a fool does not have a hair, knows that Ducati is a good place in the one to be: "My goal is to try to secure a position in a factory team. I love Ducati. We are always classifying very well. It's been a good season, but in the last few years I started well and then the thing went wrong. We have been able to pass the worst. We will see what we are capable of in Europe. The one here has been a good race. I felt good in this circuit. After a strong weekend in Argentina, where we lacked little to make a podium, is wonderful to be here among the first three. First podium in a long, long time. Champagne has known me very, very well. I really wanted to take it. It's been fantastic. " And Jack also thought about the fall of Márquez: " I think Márquez fell down because he tried to push too hard at first. I tried to manage the difference with Dovizioso and Morbidelli, but on the last lap I had to pull very much because I had it on. "